We love a good food-and-drink day because not only is it an excuse to, you know, eat and drink, but it’s also a great chance to discover some new places. October 27 is American Beer Day and while you might automatically think of European brands when choosing a beer, there are loads of great American ones too. And you don’t need to cross the Atlantic in order to try some. There are loads of amazing places that stock American beer, right here in the UK. Looking to mitigate the idea that all American beers are light and tasteless, Beer Merchants stock a large number of stouts and IPAs, and argue that American beer is possibly the greatest around. Choose between a wide range of bottled and canned, from super cheap to treat-yourself. Stocking a massive 38 different brands of American beers, Beautiful Beers also sell accessories (such as glasses), kegs and even gluten free beer. The company founder was originally from The Netherlands and brought his knowledge of European catering (and more importantly, beer) to the UK when he set up Beautiful Beers. Having run award-winning independent bar, Inspire, for 17 years, the Beer Gonzo founders opened their first shop in 2010 to sell artisan, foreign and craft beers so that customers could enjoy them at home too. 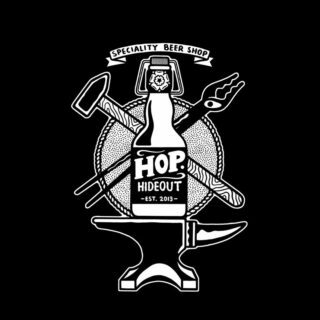 Wanting to make their incredible range of over 850 beers available to the masses, they opened up their online shop and the rest, as they say, is history. 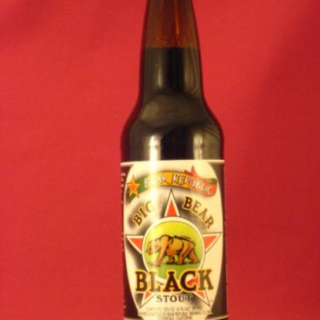 If you want a company that’s truly a specialist in American beer then the clue is in the title with this one. Dedicated to bringing great American beer brands to the customers in the UK, the ones they stock are carefully selected for UK markets. If you aren’t sure which to go for, they’re happy to arrange a tasting session or to give you more information on tasting notes too! Of course, whether you prefer American, Australian or British beer, we can all agree that the very best kind is an open one! Enter our competition below to be in with the chance of winning this cool bottle opening wall plaque. 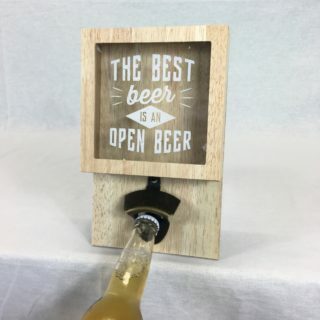 Never worry about forgetting where you’ve put your bottle opener again with this wall-mounted wooden plaque. Secured with a hook fitting on the back, this is easy to put up and is great for opening beer or any other glass bottles. There’s also a slot in the top to store the unwanted bottle lids. The best beer is an open beer! Good luck!